Cheer up, little robot friend, it's the weekend. Mmm, smell that fresh weekend air. Let it wash over you and dissolve all that stress you accumulated since Monday. There, feel better? Let's dig into the Co-Opticrew's gaming plans this weekend. Nick Puleo (@NickPuleo) - "Started to dig into Mass Effect. Perhaps some more Ghost Recon Wildlands." Jason Love (@JLove55) - "With Persona 5 looming on the horizon, I'm scrambling to finish up some of the other quality games I've been digging into this past month, like Horizon: Zero Dawn, NieR: Automata, and Yakuza 0." Mike Katsufrakis (@Pheriannath) - "I managed to get incredibly sick, so I'll be sleeping! If I get a chance, I'll get a second play through of Nier: Automata in." Marc Allie (@DjinniMan) - "Making more progress in Zelda and Shovel Knight, and some Rock Band with friends." John Bardinelli (@itsamejohn) - "​Finishing up Breath of the Wild, then changing gears to do some serious puzzle solving in Infinifactory." Locke Vincent (@LockeVincent) - "Going to wrangle some people together to finish Eon Altar season 1 for review. 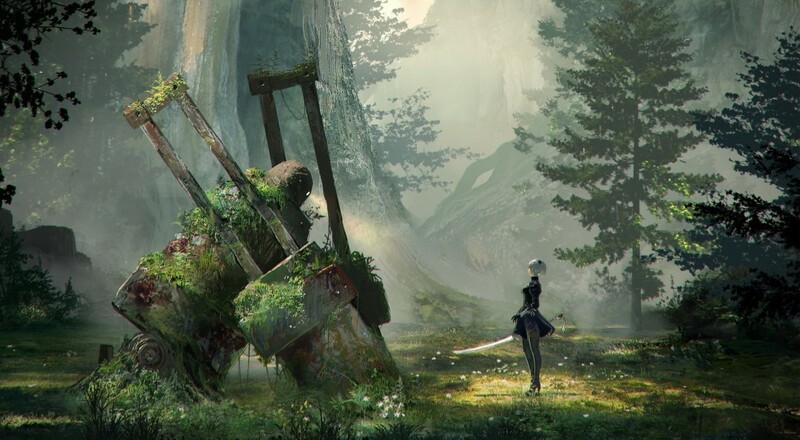 Then I'm going to go full anime and hit Nier: Automata hard. If the boys are climbing cocaine mountain, I can't say no to that either." Sam Tyler (@thereelsamtyler) - "I have a free gaming night so its Gears or War 4 co-op again and some Evolve with all the characters unlocked." Tally Callahan - "Some Horizon Zero Dawn. Might be meeting up with some friends for board games. Other than that, catching up on work!" Enoch Starnes (@enochstarnes) - "Getting marginally better at For Honor and kickin' it with the Gorons in Zelda." Matthew Squaire (@mattaghetti) - "Loot Rascals Troll and I for review. If I can find someone I'll play For Honor Co-op and producing the video game Podcast radio show I host!" How about you, anything good planned this weekend? Let us know in the comments! Page created in 0.9454 seconds.